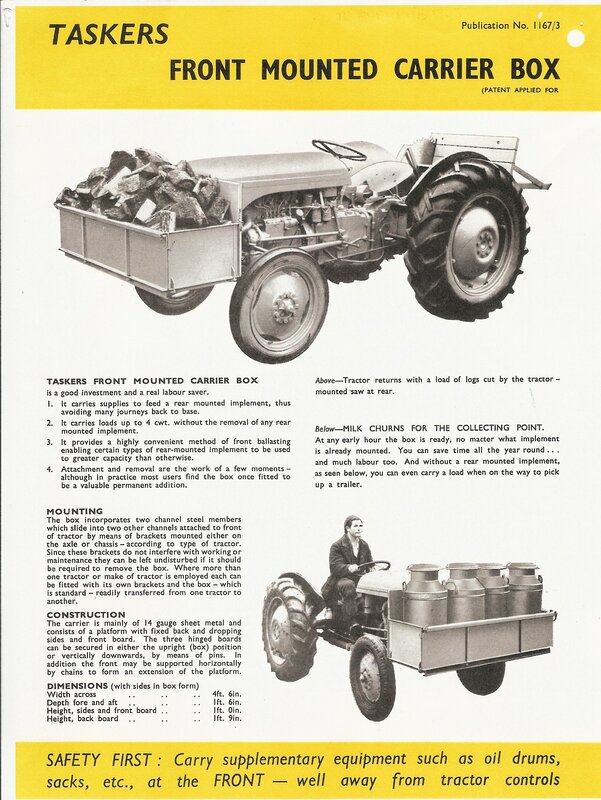 In the early fifties, Taskers of Andover manufactured a front mounted transport box for light to medium sized tractors of the period. 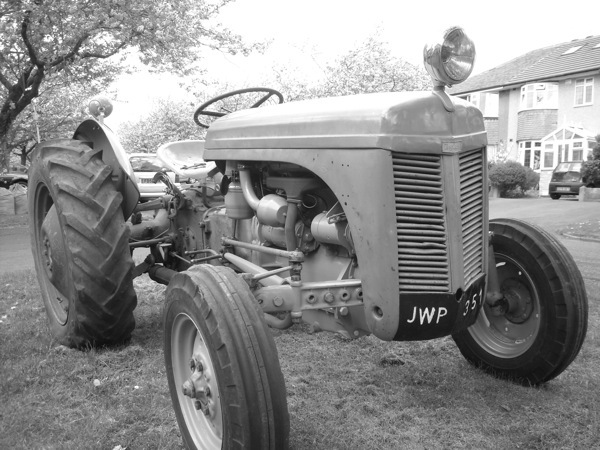 The most common models were Ferguson T20s and Fordson Majors (New and Old models). 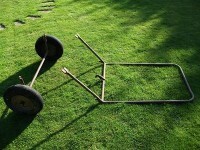 The box was designed to carry four milk churns and was rated at 4Cwt (around 200kg) capacity. The real advantage was that the box could remain fitted to the tractor whilst doing other jobs using rear end mounted implements. If the box needed to be taken off, it took about a minute to remove two pins and slide it forward off the two mounting brackets. 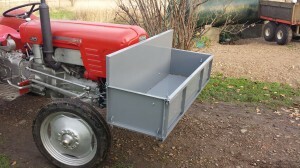 The brackets themselves remain bolted to the tractor and hence the box could be used on two or more tractors by buying extra sets of inexpensive brackets. Bracket sets were also available for Standard Fordson, Nuffield Universal, David Brown and Allis Chalmers Model B. 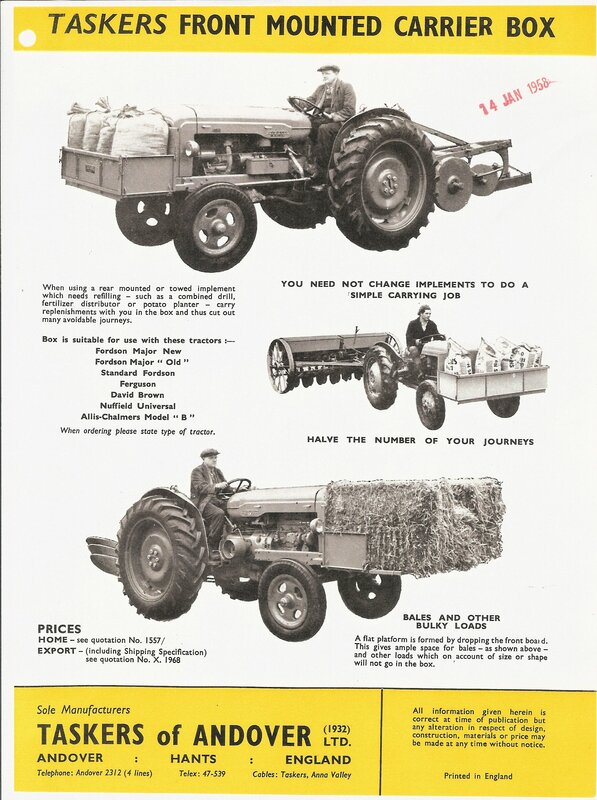 The Taskers Box was advertised extensively in ‘Farmer and Stockbreeder’ in the fifties, the advertisements shown below are from January 1958, (courtesy of The Museum of Rural Life in Reading). Click the posters to open in full screen. Pictures below show the box attached to a 1958 MF35. The reproduction boxes are extremely authentic copies of the original item, manufactured to original specifications in terms of material dimensions, fixtures and fittings. Fergietrailershop would like to thank Mr Jonathan Parkes for his kind assistance, without which the development of this new item would not have been possible. 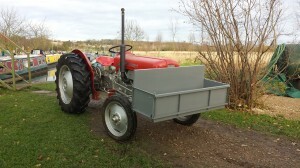 The reproduction Taskers Box was launched at the Newark Tractor Show in November 2013 and is priced at is priced at £425 in bare metal, or professionally painted for an additional £135. The bare metal items can easily be delivered in dismantled ‘flat pack’ form, typical cost is around £45, dependent on the delivery address.